We know that your trees are important to you, but so is their health! Occasionally a limb needs to be cut for the overall health of the tree. Edmond Tree is your best choice for professional tree care! 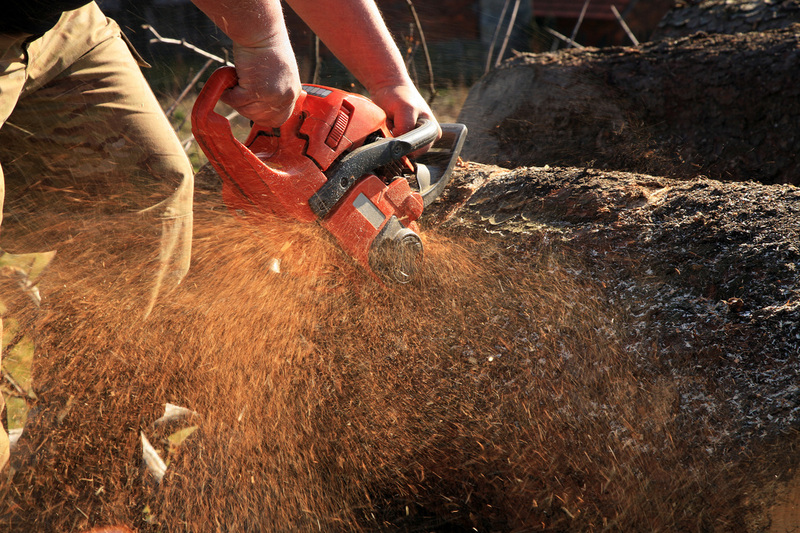 Our qualified tree cutting crews will assess your trees overall health and work with you to make decisions on what needs to be cut away for the continued growth of the tree. If the assessment indicates that the tree needs to be removed, we will inform you of that up front. One of our Tree Cutting Technicians will climb the tree with a harness and rope safety system. They will begin to remove the limbs that need to be cut away, starting at the crown of the tree and moving downward, dropping them in to a secure area along the ground. If the problematic tree is to close to a structure, such as a home, fence, pool, or shed, we will lower the limbs to be received by a crew member on the ground. No matter if we are removing a few limbs or the whole tree, we will safely work our way down the tree section by section, so as to control the removal process with safety and efficiency. We will then take all of these branches and limbs and put them through our wood chipper. We can take these away with us or leave them for you to be used as mulch. The larger sections of the tree, we will cut into smaller pieces that are perfect to be used as firewood. If you wish to keep it, just let us know, or we can take it with us when we leave. Call us at 405-562-5725 today for a free estimate on what it would take to clean up your trees!